That's the 2nd pic I've taken of the T880 in the last month & both times it's been hemmed in by other trucks. Maybe the 3rd time will be the charm. As for the FL COE I was glad to see it still there after passing by that spot twice & not being able to get a shot. Found these 3 beauties at a garage just down the road from a dealer in Quarryville PA today. Made the crappy trip there in the rain worthwhile. A trio of cool catches there Charlie, the W9 looks particularly sharp. So you Guys get the rain as well thought it was only us Jocks that get it all the time. and a Hummin Cummins in it. Bob. What ever happened to Storm Caps on verticle exhaust pipes? Buckets...plastic buckets don't enhance the look of a truck. Nobody uses them anymore Rob although I wish they would. I ordered a pair for 2 different solid waste rigs about a month ago from Napa, Napa didn't even stock them locally, had to get them out of their warehouse for the next day. 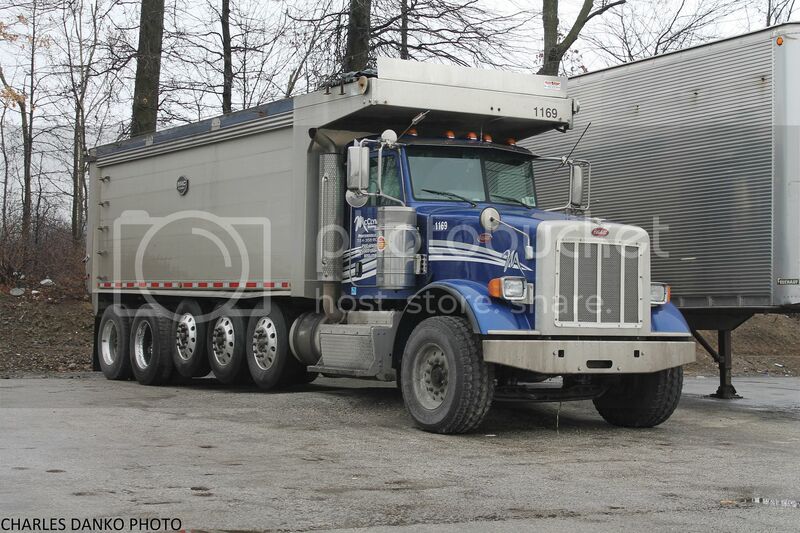 All three are cool but the w900A is very nice .I still see the odd truck with raincaps ,one of the guys I work with has them on his K-100. 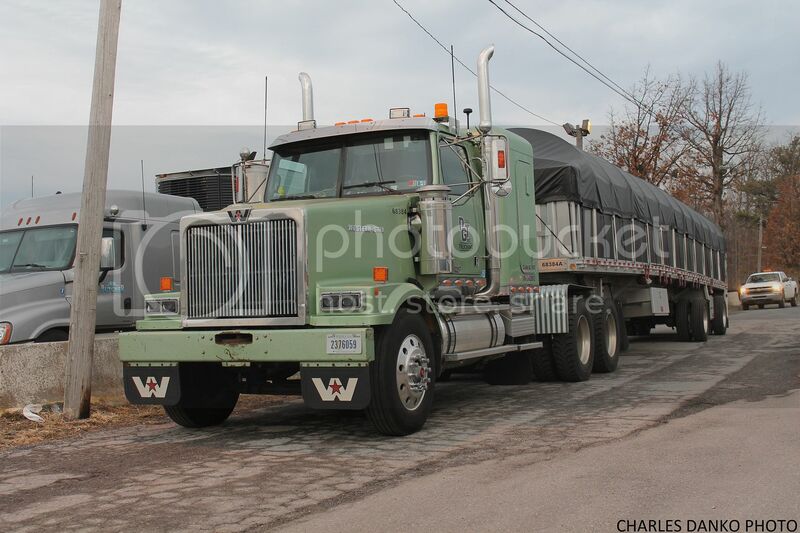 The W900A is awesome looking, love the color! 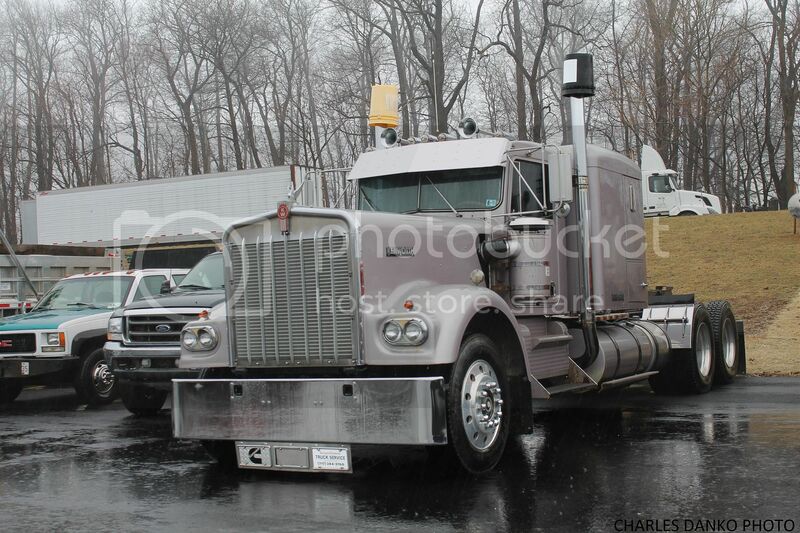 The W900A is used for truck pull competitions...……..check out the video. 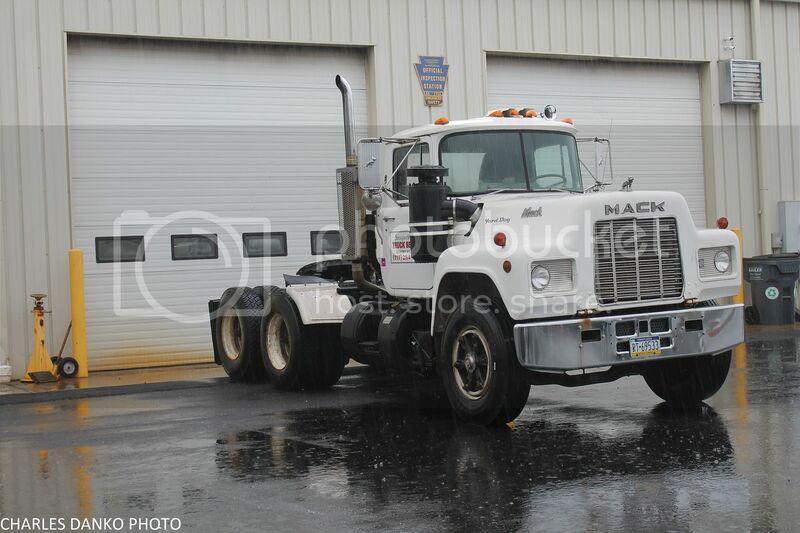 Well I guess if I can only get 1 pic on a long trip (swap to Warrenton VA) it might as well be a Mack. 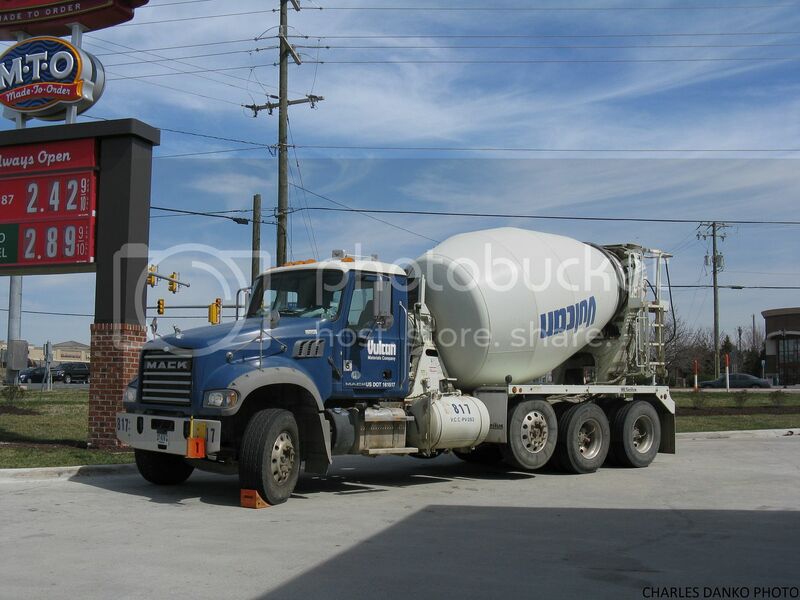 Vulcan mixer stopped for lunch at a Sheetz in Haymarket VA earlier today. Which way did you go to Warrenton? 66/15? You missed out, there's a Vulcan plant off Wellington Rd (which runs between Manassas and Gainesville) that's running almost exclusively these massive mixer trucks. When I saw the mixer I was hoping it was one like you posted but it turned out it wasn't. We cut over on I-695 then down through Frederick & Leesburg...……..a much more enjoyable ride than going the Beltway route. Ha, yeah. Lot less traffic that route, I don't blame you. 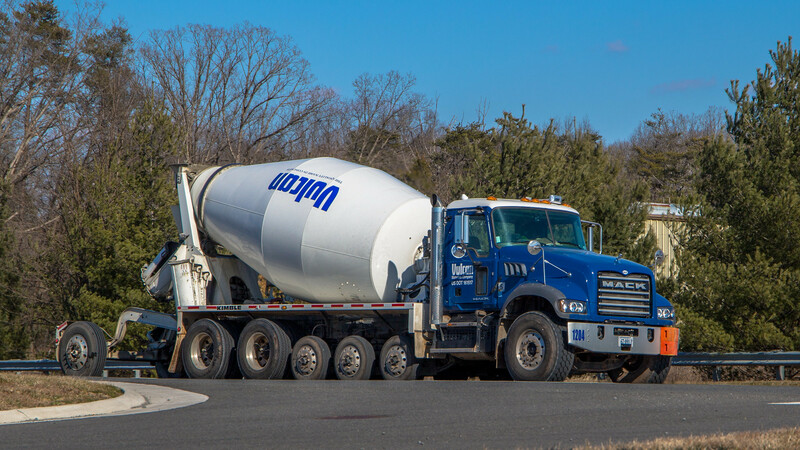 I figured these big mixers are probably more commonplace on the outskirts of the suburbs, but I'm only basing that off my experience finding them on Route 50 next to the quarry in Chantilly and at that Vulcan plant between Manassas and Gainesville. I'm sure you'll find one eventually though, just not anywhere that's already built up. 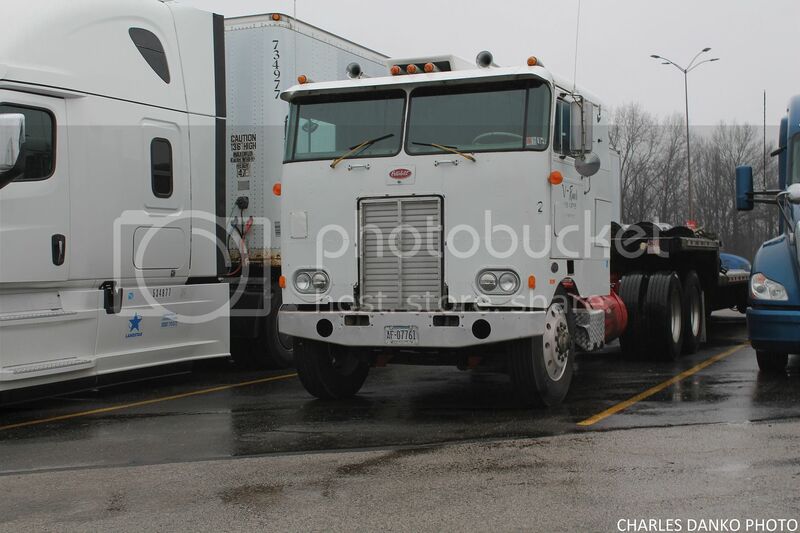 So on Friday 3-29-19 I had a surprise overnight swap out to Bedford OH. 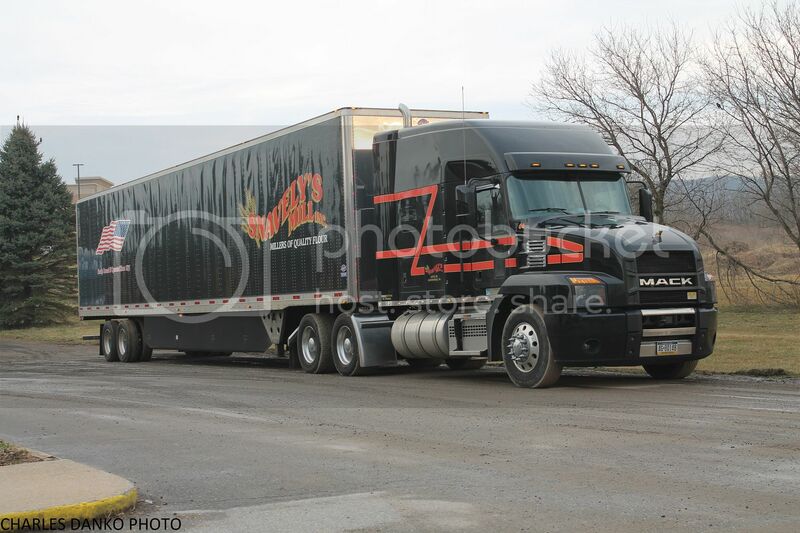 Always nice to see different scenery & catch trucks you don't get to see in your area. Many thanks to Paul Kane for info along the route and places to stop at on the way. Hope some enjoy the pics. 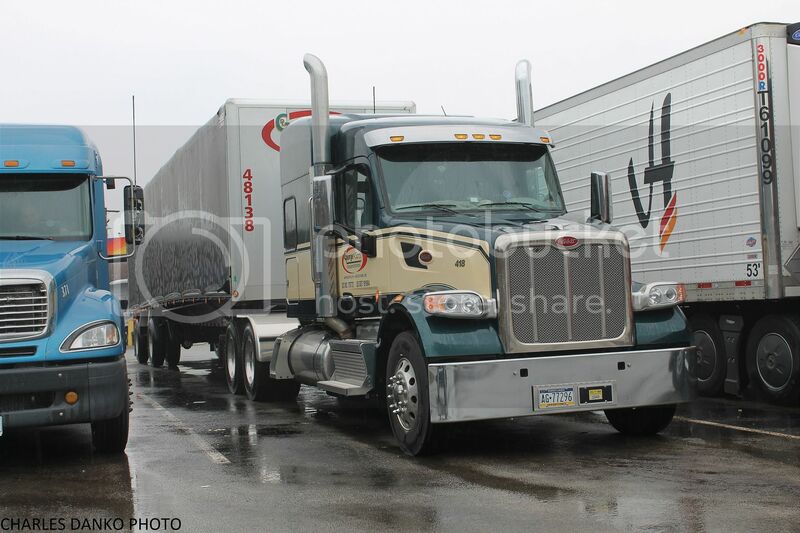 Big bunk Southern Pride Volvo from Sanford FL at the Petro in Carlisle PA.
George & Sons Transportation Pete 567 from Waynesboro PA taking a break at the New Stanton PATP service plaza. 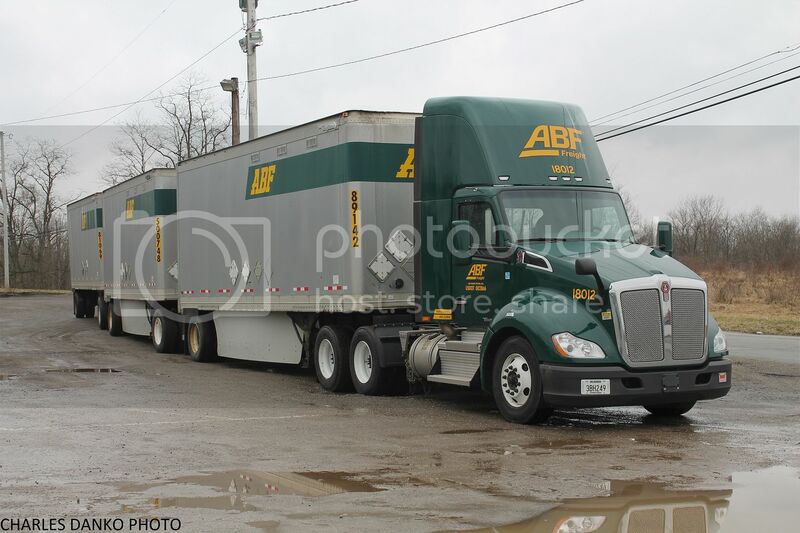 ABF KW T680 with triples at their terminal in North Lima OH. PI&I KW T660 from Sharon PA with a covered wagon turnpike doubles set at the Brady's Leap plaza on I-80. V-Ranch 1969 Pete COE from somewhere in PA at the Petro in Girard OH. 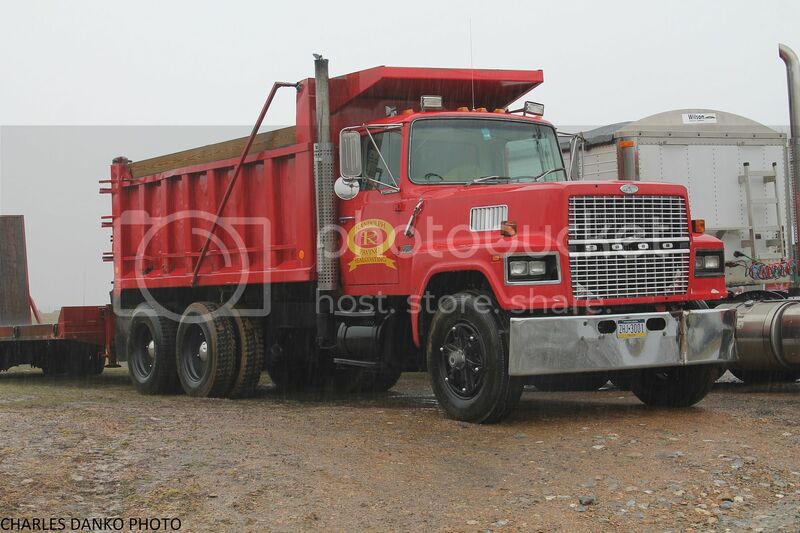 McClymonds multi axle Pete dump truck sitting in the Truck World lot in Hubbard OH. Sharp looking Western Star covered wagon for PGT of Monaca PA parked at a fuel stop & restaurant off I-80 in Snow Shoe PA.
Snavely's Mill Mack Anthem from Lititz PA stopped for breakfast in Lamar PA.